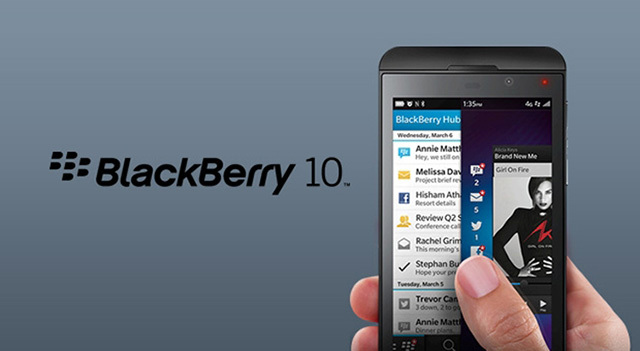 if you use a device running BlackBerry OS 10 and need to figure out how to sync your contacts and calendar, you’ve come to the right place. These steps will lead you through the whole process, from downloading Outlook Hotmail Connector to performing your first sync. This might seem obvious, but to perform a wireless sync of your contacts and calendar on BlackBerry OS 10 using Outlook Hotmail Connector, you’ll first need a Microsoft email account. If you already have an Outlook, Hotmail or Windows Live email account, you’re good to go. If not, go to Outlook.com or Windows Live and set one up. Then jump back here for the next step. Now you need to get Outlook Hotmail Connector on your PC. There are a couple of different versions depending on your computer’s hardware. If you have a 32-bit PC, click here. If you have a 64-bit PC, then click here. Follow the download and installation instructions, then move on to the next step. Now you’re ready to add your Microsoft email account to Outlook on your computer. Start by opening Outlook and clicking File in the menu bar. Now click +Add Account, then select Email account. You’ll be prompted to enter your name, the email address you’re adding and the associated password. Do so and click Next. Then click Finish. Now you can copy over your existing contacts and calendar data to your new email profile in Outlook. Just follow the instructions, verifying that the Sync Contacts & Sync Calendar toggle is set to On. And that’s it. Now the contacts and calendars on your phone and computer will automatically synchronize via wireless connection.